You probably have something you’re good at. Maybe it’s art or science. Maybe you love to solve puzzles or learn about nature. Most of us have at least one talent or interest. Leonardo Da Vinci was special because he was brilliant at everything he tried. 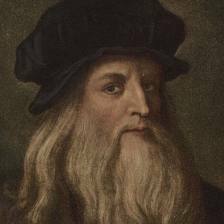 Leonardo Da Vinci was born in 1452 outside of Florence, Italy. He was a famous painter and one of founders of modern science. Born in 1452 outside of Florence, Italy, Leonardo was raised by his father. He had seventeen siblings and half-siblings. His father was an artist and encouraged Leonardo to paint and draw. When Leonardo was fourteen, he went to learn with a master artist. He soon showed exceptional talent. His teacher asked him to paint an angel. Leonardo’s work was supposedly so much better than the teacher’s, that the teacher never painted again. 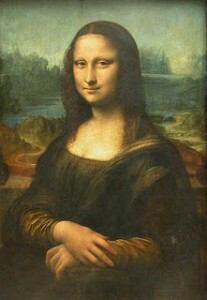 All About Leonardo Da Vinci: Mona Lisa – The most famous painting of Da Vinci. In addition to painting, Da Vinci studied science and math. He went to work for the Duke of Milan. There, he created many religious paintings and sculptures. He also designed buildings, churches, bridges and even war machines. He left detailed blueprints for inventions that resemble our modern-day helicopters and army tanks. Da Vinci was a gentle man who loved animals. He was a vegetarian – rare in his day. He sometimes bought live animals in the market and let them go. Da Vinci left several notebooks of his ideas. Bill Gates bought some of his notes for $30 million. Da Vinci was fascinated by the human body. He examined dead bodies to learn more. Later, the pope forbid this work. After the Duke of Milan fell from power, Da Vinci worked for the pope. Later he worked for King Francis I, King of France. The king gave Da Vinci an elegant manor. It is said that the king cradled Da Vinci’s head as he died. A video biography about the life and achievements of Leonardo Da Vinci. Question: Was Da Vinci left handed? Answer: Da Vinci was left handed. In his time, people believed that being left handed was a sign of evil. Teachers probably tried to convince him to use his right hand, but he refused. In fact, he could write backwards. His backward writing can only be read with a mirror. Enjoyed the Easy Science for Kids Website all about Leonardo Da Vinci info? Take the FREE & fun Leonardo Da Vinci quiz and download FREE Leonardo Da Vinci worksheet for kids. For lengthy info click here. Declan, Tobin. " Leonardo Da Vinci Facts for Kids ." Easy Science for Kids, Apr 2019. Web. 18 Apr 2019. < https://easyscienceforkids.com/all-about-leonardo-da-vinci/ >.